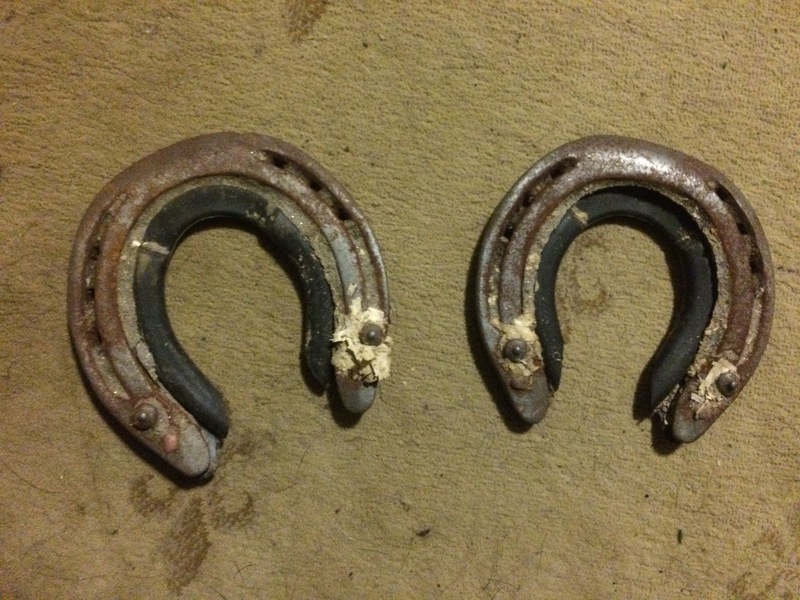 What should I do with Tristan’s old horseshoes? So, Tristan is barefoot again. Which was working well, until it wasn’t. Thankfully, the current abscess problem seems to be unrelated to his newly-bare feet, so he will stay barefoot. When the farrier pulled his shoes last winter, I asked him to set them aside. I wasn’t sure what I wanted to do with them, but I knew I’d want them somehow. I then tossed them into my tack trunk and there they sat. Nope, never even cleaned ’em. So, now I’m pondering ideas for what to do with them. Ideally, I’d like them to be displayed or decorative in some way in the new house – preferably in my study, which will be somewhat horse-themed. I searched Pinterest, and got the usual assortment of ideas, but none of them spoke to me. Plus an assortment of really tacky stuff. This comes closest to what I’d really like. Simple, straightforward, and really keeps the focus on the horseshoe as the thing that I am interested in, not as a vehicle for other things. But I’m still not sold on it. My indecisiveness about this is the main reason these have sat for a year. So now I’m crowdsourcing this. 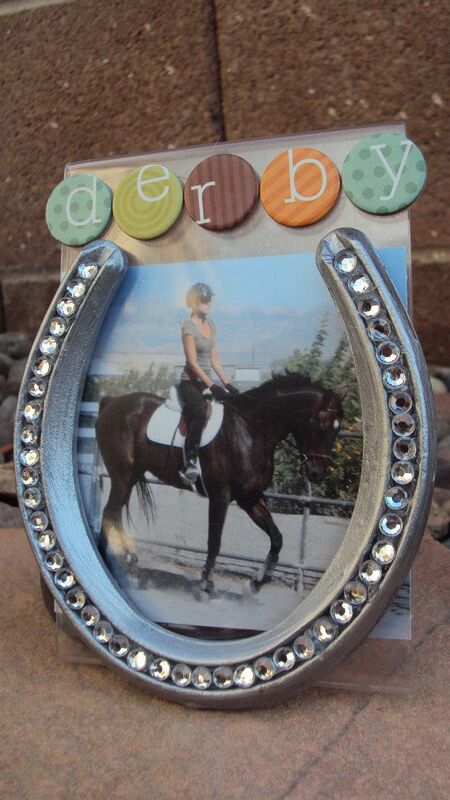 Has anyone seen nice ways to display a beloved horse’s old shoes, in a way that reminds you of the horse? 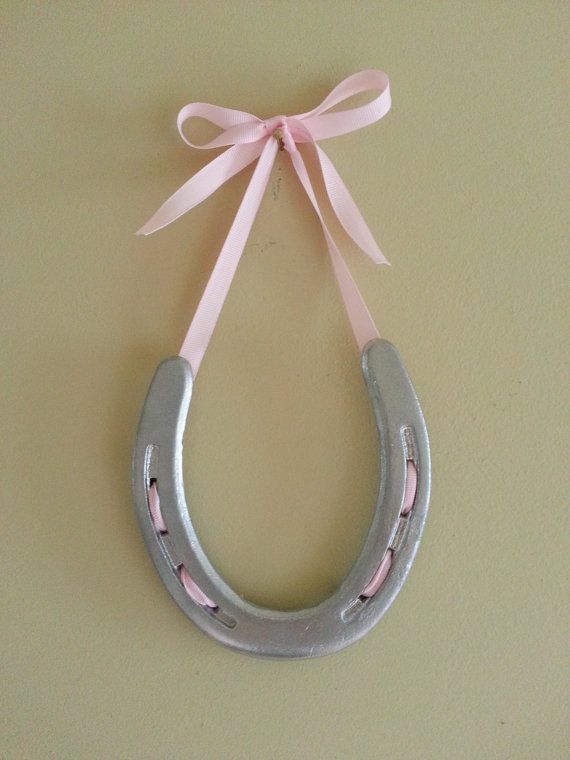 That’s not just a generic use of a horseshoe? Ideally something a little more understated and classy; “country chic” is very much not my style. My trainer actually made the last one for me for my house warming party with one of Fiction's old shoes. She painted it black too – his primary show color. Super classy. I'm not artistic at all, so I really have nothing else to add, but I'm with you on the no-tacky part. Most horse shoe art is blah. please do NOT make a toilet paper roll holder with the shoes!!! lol… i like the last one too – or the idea of making a shadowbox type thing. or maybe somehow turning them into bookends? idk haha good luck tho! 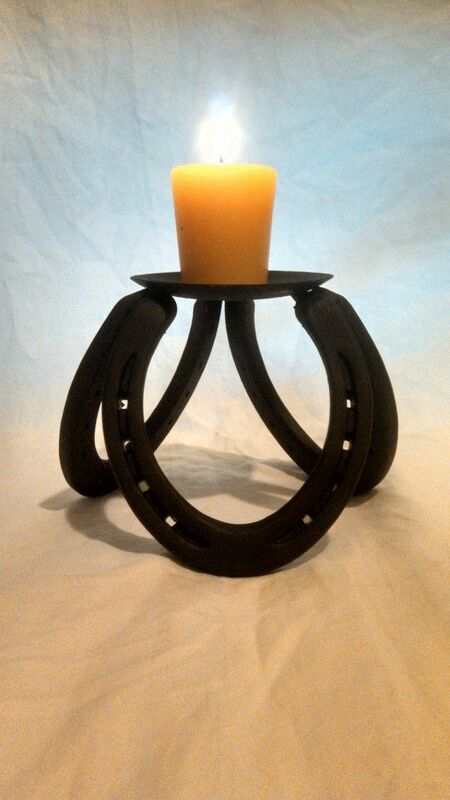 I like the bookend idea… I also saw on Pinterest a tutorial where they used horse shoes to make drink coasters. They backed them with cork. But, I don't know if you want to go that route with a pair of used horse shoes. 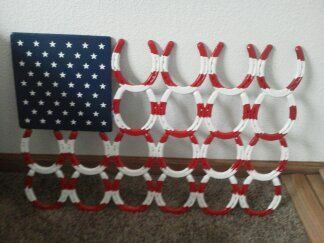 I have a pile of used horse shoes in our barn from my mare that I can't bear to part with but have no idea what to do with either. I have one in her memorial frame with her leather halter, her championship ribbons and a lock of her tail hair. I have a basic wooden trunk I refinished and use as a coffee table…it's stained nearly black and the fittings are a hammered aluminum color. 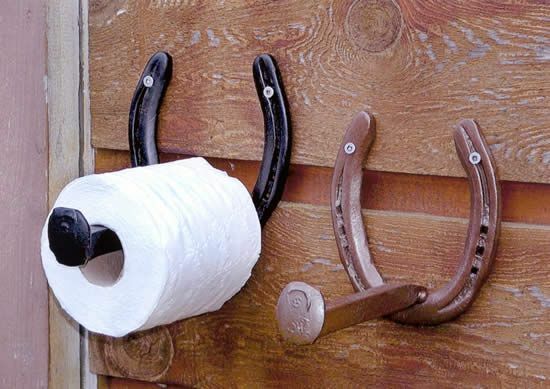 I'm considering replacing the handles on either end with really simple ones made from favorite horses old shoes. That way it's sort of understated and part of a bigger piece. 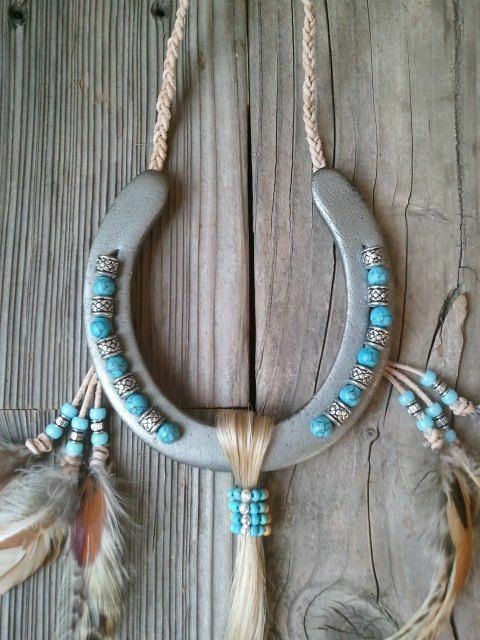 I'm with you on the overtly country or western stuff – I really like a more understated and simple look. I honestly just take them in their plain form and set them on a shelf! I'm with leethomsonart: I have a shoe from my first horse simply mounted on the wall with double stick mounting tape. That's it.